Then came the main event. The Sharks got away to a better start, largely due to more accurate kicking, to hold an 11-point lead at the first change. However, the Bloods came back hard in the second quarter. They kicked five goals, using the conditions to advantage. Inaccuracy cost the Sharks dearly this quarter as they attacked often enough, but only managed the one goal. By the main break, the Bloods held a one-goal lead in a tight contest. The premiership quarter was going to be a beauty. Neither side would yield, but the Sharks managed three goals for the quarter and went to the final change holding a slender five-point lead. Knowing that the Bloods would be kicking to the scoring end it would take a huge defensive effort for the Sharks to win. The final quarter was a pearler. 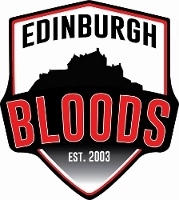 Both teams had four scoring shots, but the greater accuracy in front of goal from the Edinburgh Bloods was enough to hold the Sharks at bay in a pulsating final quarter. By the game’s end, the Bloods had held on by just five points in one of the best grand finals seen in Scotland, if not the best. It brings to a close the SARFL season, which in 2018 contained many highlights. Quite apart from the grand final itself, the competition was enriched by the addition of the Tyne Tees Tigers as a fully-fledged team and the West Lothian Eagles as a development team. Both would have learned much from this year and will be itching for next season. Both should be full playing clubs in 2019, adding enormously to the growth of the national league. Now, they and the other clubs – the Sharks, Kingdom Kangaroos and Grater Glasgow Giants – will spend the off-season planning to bring down the Bloods and chase glory of their own. The Edinburgh Bloods, though, have other ideas as they savour the flag and the joy that goes with it.